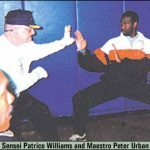 Kyoshi Patrice Williams, began his training in Western Pugilism in 1975 with the Judd Street Boxing Club and the Gowers Fencing Club in London, England. 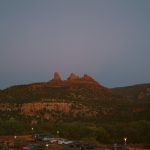 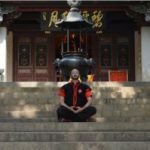 Through his studies in Ancient Philosophy at University he was introduced to Taoism, Zen, Buddhism, Sitting Meditation, and Moving Meditation through Martial Arts Studies. 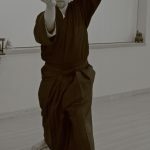 He has been studying the Japanese, Chinese and Okinawan Martial Arts since 1986. 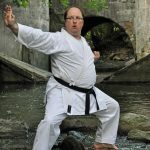 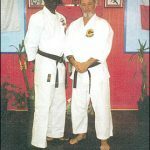 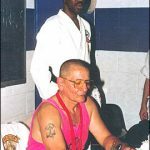 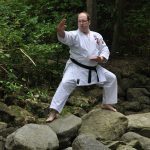 He has participated in over 50 Seminars with Sensei Richard Kim 9th Dan Hanshi and has traveled throughout North America to train with such greats as Bill Wallace, Dan Inosanto, Joe Lewis, Sensei Merriman, Sensei Higaonna, Sensei Demura, Professor Jacob, Sensei Warrener, Sensei McColl, Sensei Copeland, Sensei Sichiyama, Sensei Peter Urban, the originator of all North American styles of GoJu Ryu and of course his Sensei, Sensei Wallace Platt 10th Dan Hanshi. 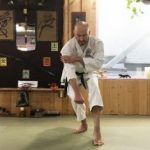 On his recent trips to Kyoto and Tokyo, he had the privilege of visiting Yamaguchi Sensei, the head master of Japanese GoJu Ryu, and to train with Haruna Sensei 8th Dan laido and All Japan Champion, Oishta Sensei 8th Dan laido, Ishido Sensei 8th Dan laido & Jodo, Kishimoto Sensei 8th Hanshi, Shia Sensei 8th Dan Hanshi, and was privileged to demonstrate both at Butokuden, Japan’s oldest training hall and at the Heian Shrine in Kyoto. 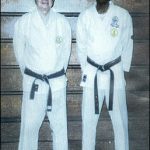 He has also had the privilege of training with Kaminoda Sensei 8th Dan Jodo, Namitome Sensei 8th Dan Jodo, Hanshi, & lmai Sensei Soke, The Headmaster of Nitenich, Ryu Kenjitsu. 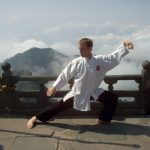 In 2004 he had the privilege of training in China – at the Shaolin temple in Fujian province, with a white crane grand master at the Fuzhou Wushu Association & with the Taoist Monks at the Purple Swallow temple on Wu Dang mountain. 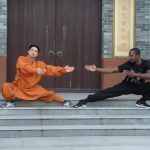 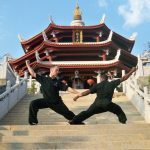 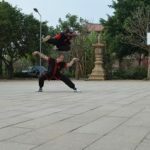 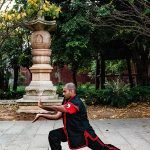 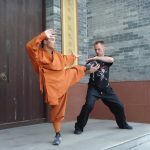 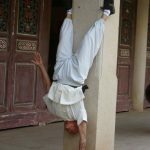 In 2007, 2011, 2012 and 2013, he returned to Quenzhou to train at the Southern Shaolin Temple studying with Master Wu, and to Yong Chong Village to study Bai He Quan – White crane fist. 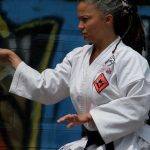 Kyoshi Williams has taught at Brock University, Appleby College, Upper Canada College, Elementary schools, Secondary schools and YMCA’s and YWCA’s throughout Ontario. 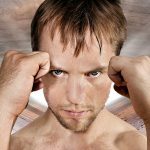 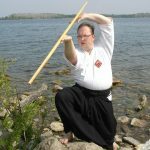 He has also taught in London, England, Oslo, Norway, Trinidad & Tobago, New York City, Winnipeg, Manitoba and Vancouver, B.C. 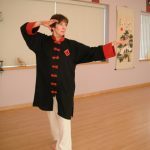 as well as teaching locally for the Cities of York, North York, and Etobicoke, and Toronto City Hall. 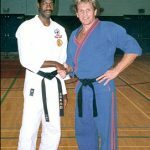 He has demonstrated and competed across the globe in countries such as the USA, England, Argentina, Mexico and Japan – including a demonstration at the Skydome for the Toronto Blue Jays and 3 demonstrations for the Toronto Argonauts, the Chin Picnic, Molson Park and the CNE. 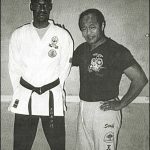 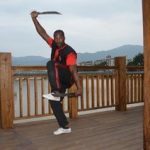 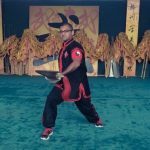 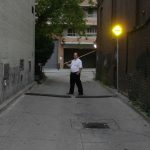 He has also participated in the Masters of Self-Defense demonstration presented at Massey Hall, Toronto, and appeared on local and national radio and television shows and in two feature films. 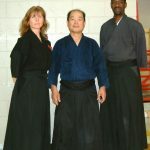 Kyoshi Williams has won several Canadian Championships, a 4th and a 5th place at the 1994 WKO world Championships in Argentina and was one of the Team Canada Coaches in the 1996 World Championships. 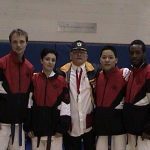 He won a 1st and a 3rd place at the 1997 Pan American Games, and two 1st places and a 2nd place in the 1998 Americas Cup and three 1st places, in 2000 Americas Cup in Mexico. 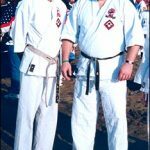 He was in charge of the Competition Division of CMAC which took a team back to Mexico to defend their America’s Cup championship, to Australia for Tournament 2000 at the Olympic venue, to New York for the North American Championships and is working on other International events for the future. 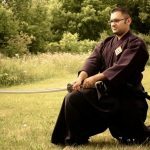 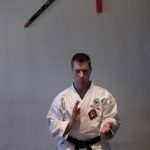 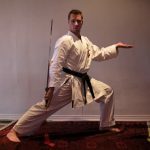 He is the head instructor of CMAC Toronto Central Region which includes Renge, Yamazakura, Enzan Dojo & Mokurai Dojo – New Zealand. 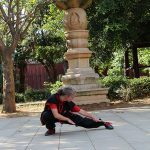 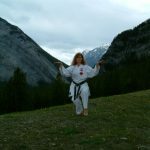 Renshi Simonetta Mariani began her training in the Martial Arts in 1992. 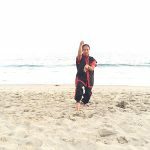 She is a 6th degree black belt in Karate-Do & JiuJitsu, a 6th degree black belt in Ancient Weaponry, a Laoshi level 6 instructor in Tai Chi Chuan, Ba Gwa and Chi Gung, a 4th degree black belt in Jodo and third-degree black belt in Iaido (the way of the sword). 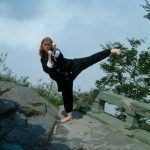 She holds a degree in Psychology and is fluent in four languages. 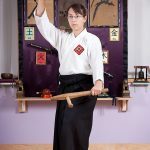 Her Martial Arts studies have taken her abroad to Japan, where she had the privilege of visiting and training at Yamaguchi Sensei’s Dojo, the headmaster of Japanese Goju Ryu, visiting the Butokuden, Japan’s oldest training hall and visiting the Yoshinkan Aikido Dojo. 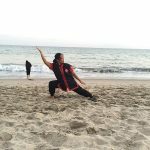 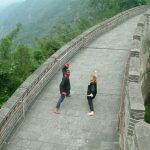 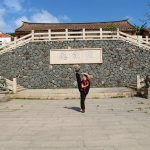 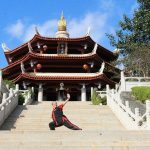 In 2011, 2012 and 2013, she returned to Quenzhou to train at the Southern Shaolin Temple studying with Master Wu, and to Yong Chong Village to study Bai He Quan – White crane fist. 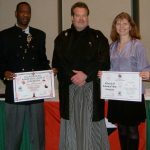 She has participated in well over 90 seminars domestically and abroad in Germany, Norway, United States, Mexico, Cuba and Banff with teachers such as Sensei Wallace Platt 10th Dan Hanshi Chief Instructor C.M.A.C., Sensei Morio Higaonna, Professor Jacob, Sensei Merriman, Sensei Maldonato, Sensei Copeland, Sensei Mc Coll, Sensei Warrener, Sensei Sichiyama, Sensei Polland, Sensei Taylor, Sensei Mears, Haruna Sensei 8th Dan Iaido and All Japan Champion, Ede Sensei 8th Dan Iaido, Oishta Sensei 7th Dan Iaido, Kaminoda Sensei 8th Dan Jodo, Namitome Sensei 8th Dan Jodo. 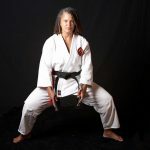 And of course, her Sensei, Sensei Patrice Williams, 7th Dan Kyoshi. 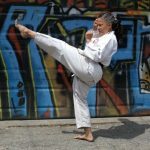 She has demonstrated and competed across the globe including demonstrations at the Skydome for the Toronto Argonauts, the Chin Picnic, Molson Park and the CNE, and she has had several appearances on local and national television including Gobal Tv’s First Up, and CTV’s Canada AM, and in one feature film. 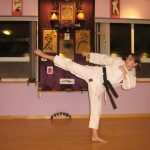 She has competed nationally and internationally at tournaments in Mexico, New York and has won several major competitions. 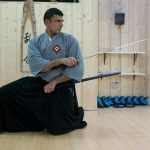 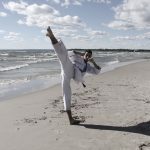 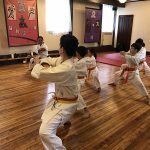 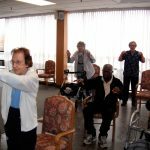 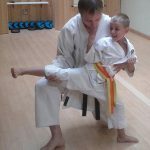 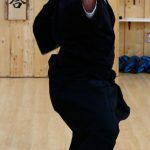 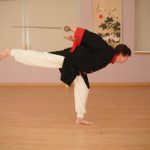 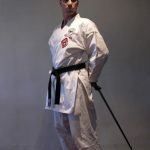 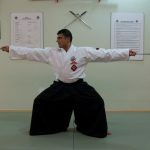 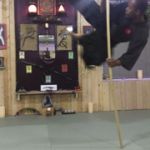 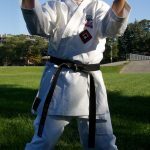 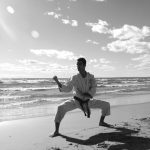 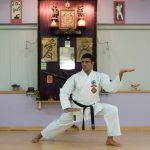 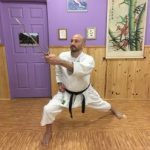 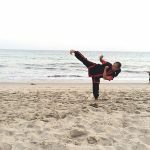 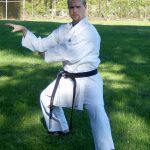 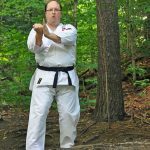 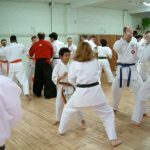 Sensei Mariani has taught for York, North York, Etobicoke and North Etobicoke schools and community centers and private institutions throughout the greater Toronto area. 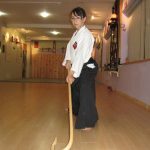 In addition to her responsibilities as Sensei of the Yamazakura Dojo, she is also Senpai for the Toronto Central Region. 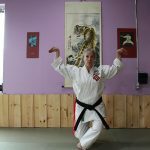 Sensei Mariani continues to train with her Sensei, Sensei Patrice Williams, 7th Dan Kyoshi and has the opportunity to train under his Sensei, Sensei Wallace Platt 10th Dan Hanshi, who continues his studies in the Far East. 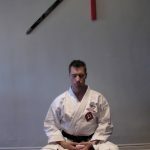 Sensei David Brands 5th Dan, began his training in Greco-Roman wrestling for his high school team. 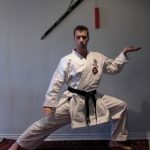 Moving to Toronto to study at the University of Toronto, elements of Yoga were taught as a component of his Arts and Sciences Specialist Honours Degree. 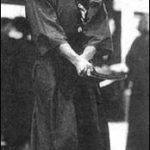 Upon graduating, he began to train in Karate-Do under Sensei Williams, 6th Dan Renshi. 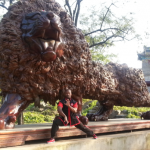 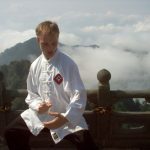 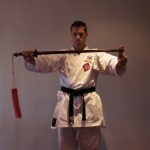 Sensai Brands is a 5th Dan in Karate-Do, and a 3rd Level instructor in Tai Chi Chuan, Chi Qong, and Ba Gwa. 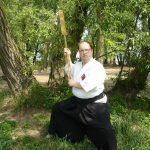 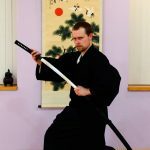 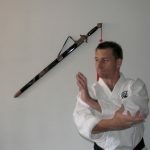 He is a 3rd Dan in Jodo, 3rd Dan Iaido, and 3rd Dan in Okinawan Kobudo weapons systems. 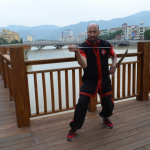 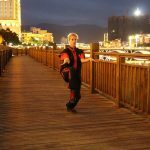 In 2004, 2011 and again 2012, he had the privilege of training in China – at the Shaolin temple in Fujian province, with a White Crane grand master at the Fuzhou Wushu Association and with the Taoist Monks at the Purple Swallow Temple on Wudang Mountain. 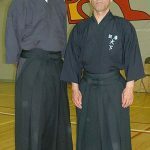 He has participated in over 50 seminars domestically with teachers such as Sensei Wallace Platt 10th Dan Hanshi Chief Instructor C.M.A.C., Professor Jacob, Sensei Sichiyama, Sensei Taylor, Oishta Sensei 7th Dan Iaido, Kaminoda Sensei 8th Dan Jodo, Namitome Sensei 8th Dan Jodo. 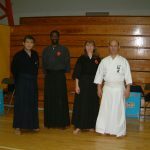 And of course, his Sensei, Sensei Patrice Williams, 6th Dan Renshi. 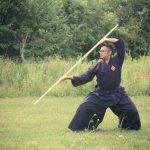 He has demonstrated and competed across the globe including demonstrations at the Skydome for the Toronto Argonauts, the opening of Matrix: Reloaded, and Toronto’s Whole Life Expo, and appeared in a home fitness DVD – Fitness On The Go. 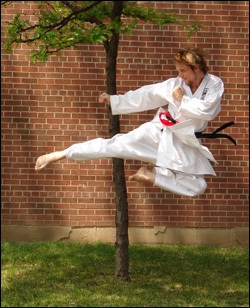 He has competed nationally and internationally at tournaments in New York and Toronto, and has won major competitions. 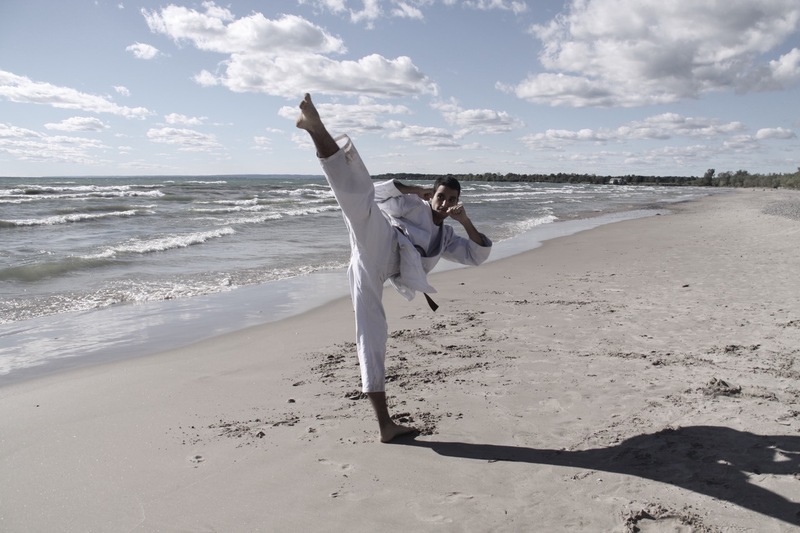 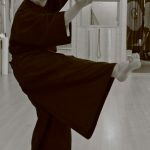 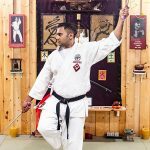 Sensei Brands has taught at the University of Toronto, and various community centers around the Toronto area. 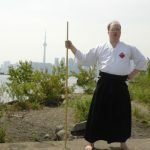 In addition to his responsibilities as Sensei of Enzan Dojo, he is also Senpai for the Toronto Region. 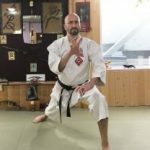 Sensei Brands continues to train with his Sensei, Sensei Patrice Williams, 6th Dan Renshi and has the opportunity to train under his Sensei, Sensei Wallace Platt 10th Dan Hanshi, who continues his studies in the Far East. 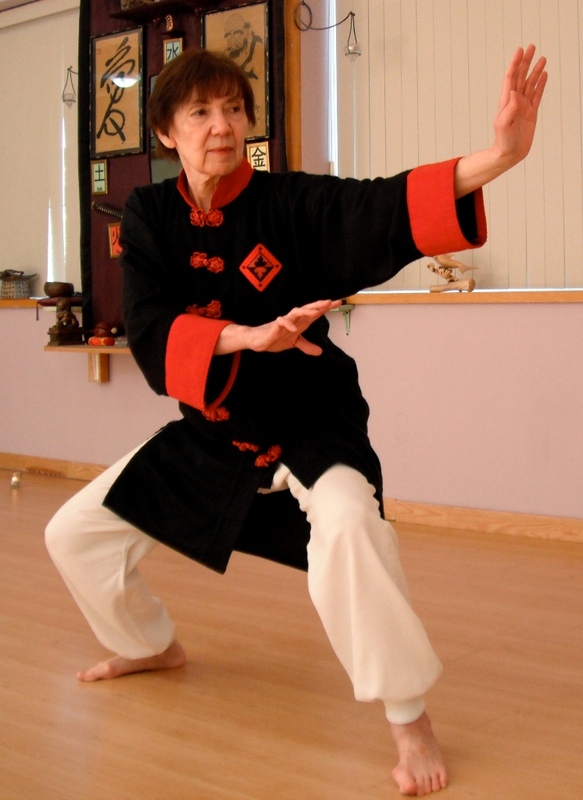 Senpai Jo-Ann Valentine was introduced to Tai Chi Chuan at an eight-week programme sponsored by CMAC Toronto in 1996. 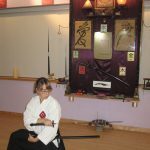 On completion of the course she began training in the Niei Chi programme at Renge Dojo under the tutelage of Laoshi Patrice Williams. 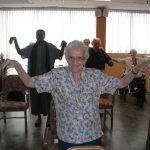 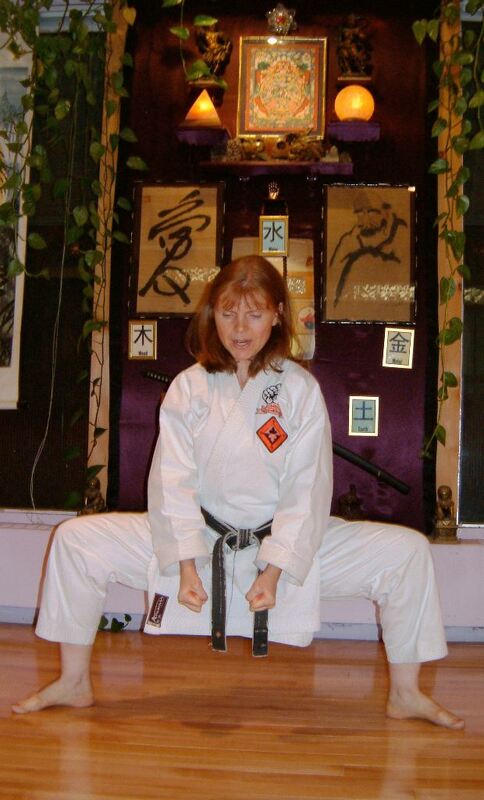 She started assisting with classes in January, 1998 and became an instructor in June of that year. 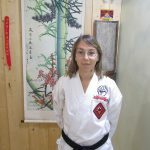 In October 2018 she attained the ranking of Laoshi Level 6 Niei Chi Instructor. 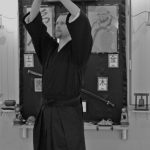 Senpai Valentine presently teaches Niei Chi classes at Renge Dojo. 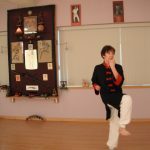 She has also taught at other CMAC Dojos, several fitness centres and with the Toronto Board of Education. 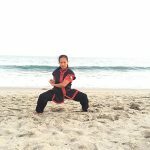 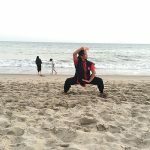 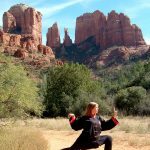 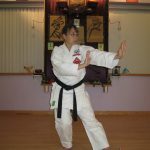 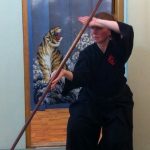 To augment her training, which is ongoing with Laoshi Williams at Renge Dojo, she attends Niei Chi Seminars and Camps conducted by Hanshi Wallace Platt, Director of CMAC. 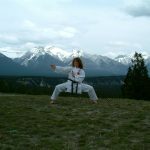 She has taken part in Martial Arts demonstrations on behalf of CMAC, such as appearances at Skydome, Toronto Street Festivals, Canada AM, and in segment on Health and Beauty TV. 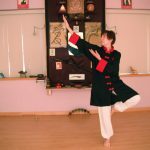 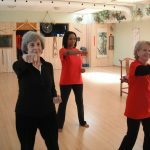 In 1997 Senpai Valentine completed the Chow Integrated Healing System, an intensive Qi Gong training programme with Dr. Effie Chow, director of the East West Academy of Healing Arts, San Francisco, CA. 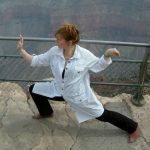 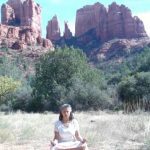 She has also completed several programmes in healing with colour and sound, Reiki Level 2 and Reflexology and is an instructor/consultant with Spectrahue Light and Sound Inc., Toronto.